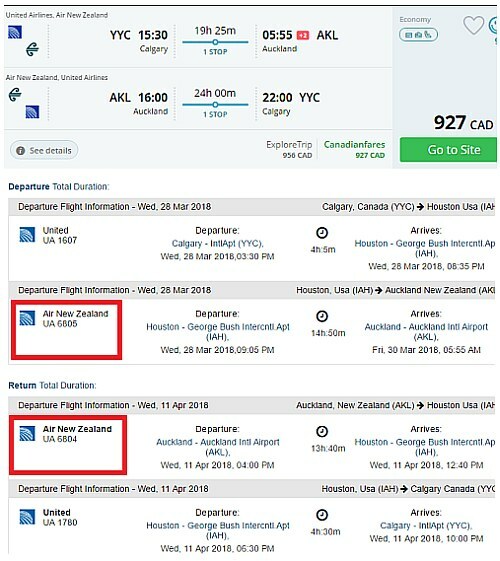 Air New Zealand has dropped the price of some of their 2018 flights from Calgary to Auckland, New Zealand down to $930 CAD roundtrip including taxes. The flights that connect through Houston are usually using Air New Zealand between Houston and Auckland. The flights that connect through San Francisco are usually using United Airlines between San Francisco and Auckland. The United Airlines flights through San Francisco are faster (and actually very fast flights, about as fast as Calgary - New Zealand gets) but, well, it also means flying United Airlines and not Air New Zealand. Overall the flights are not as good as the $975 flights with Air New Zealand that were available about a month ago (1 stop flights via Vancouver). You can also find similarly priced flights from Calgary to Sydney, Australia with Air New Zealand - if you are willing to accept 2 stops each way. Click on the departure date box to open up the calendar view and browse for cheap date combinations. Look for the dates that are $966 CAD roundtrip. NOTE: After your Momondo search completes, you may need to select '1 stop' on the left hand side. 2. Go to Momondo and try the same destination and dates. NOTE: After your Momondo search completes, you may want to click on 'Best'. 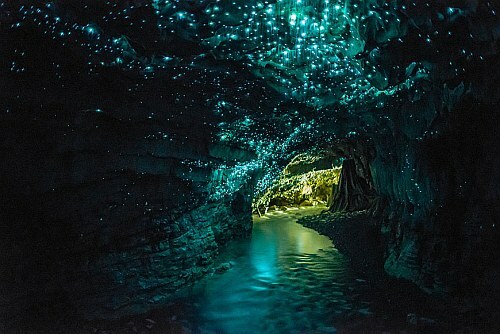 calgary, yyc, flight deals, auckland, new zealand, akl, air new zealand, united airlines, australasia and oceania.